There are about 67 million manual wheelchair users around the world. Many suffer from shoulder injuries due to over-use of the structures of the upper extremities and limbs during wheelchair mobility – propulsion and transfers. There are a number of virtual reality (VR) environments set up for power wheelchairs around the world, however the ones that could replicate manual wheelchair propulsion are very limited. To address the issues of manual wheelchair users, Rehabilitation Robotics Lab at University of Alberta used robotics and virtual reality to develop the VR Cube, an immersive virtual reality environment – to study the different aspects of how wheelchair users live, and to improve their quality of life. They equipped VR Cube with a wheelchair ergometer designed to simulate the exact biomechanics of manual wheelchair maneuvering, and to enable the wheelchair user to propel a wheelchair in and around the VR Cube environment – a way for wheelchair users to experience an immersive simulation of real world situations. Through the VR Cube simulations, wheelchair users are able to safely experience activities such as climbing a mountain, or looking over a cliff, or activities which may not be deemed safe for these users at least in the beginning, such as trying different wheelchair setups, or just learning how to propel a wheelchair at the onset of getting wheelchair dependent. Dr. Ferguson-Pell is a biomedical engineer and credentialed clinical scientist. He has dedicated his academic career to the study of secondary complications of physical disability and studying underlying causes to reduce their incidence. 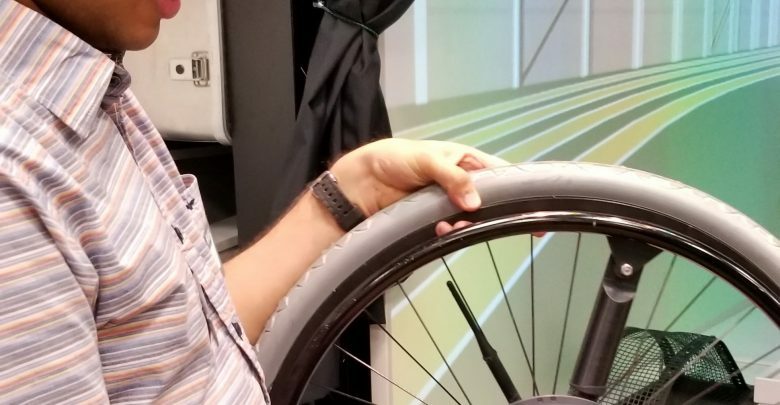 He designed and developed a new Rehabilitation Robotics Laboratory in the Edmonton Clinic Health Academy and uses virtual reality systems to simulate the biomechanical and physiological conditions faced by long-term wheelchair users and elite wheelchair athletes. This work includes the development of a novel approach to analyzing EMG from upper extremities and shoulders using wavelet + principal component analysis integrated into an FPGA system. The system can identify and measure, in real time, muscle fatigue and changes in muscle recruitment patterns. 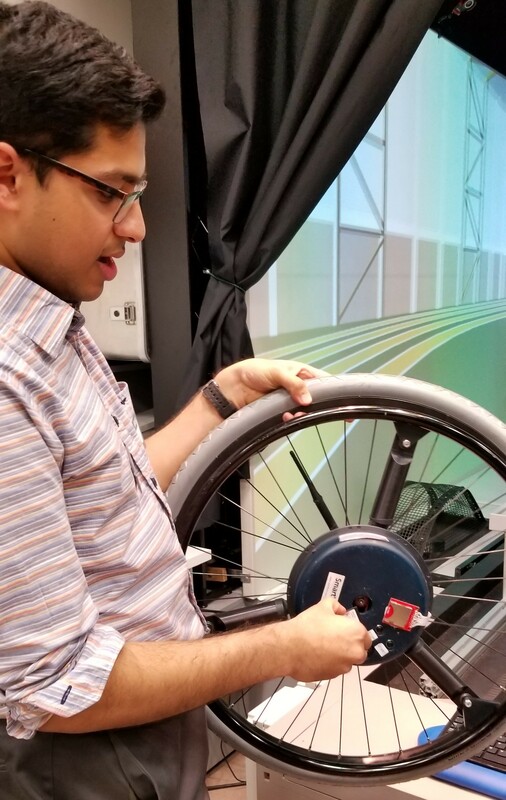 Zohreh Salimi, a PhD graduate of the robotics lab is developing an immersive virtual reality environment task for wheelchair users testing its reliability and validity in reproducing real life wheelchair propulsion. Zohreh has a Bachelor Degree in Mechanical Engineering (Heat and Fluids) and a Master Degree in Mechanical Engineering (Applied Design), both from Bu-Ali Sina University, Hamedan, Iran, and a Ph.D. Degree in Rehabilitation Science from University of Alberta, Edmonton, Canada. She is now mother of two little children and is a lecturer at Bu-Ali Sina University, back in her home town, Hamedan, Iran.